› Cleaning › Quick Tips › Clean Your Porcelain Sinks–Without Bleach! 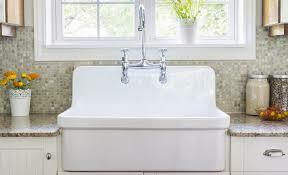 Cast iron tubs and sinks are a common find in older homes, but they are making a comeback even in newer homes and remodels because of their vintage appeal. 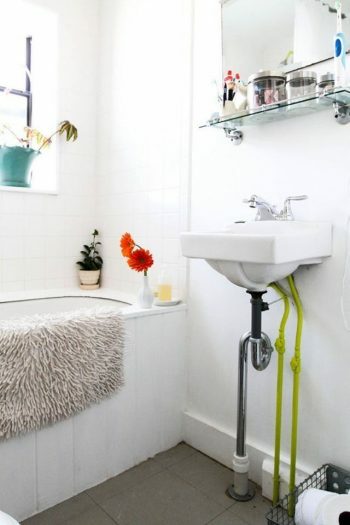 If you have a cast iron tub or sink in your home, you know they are coated with porcelain enamel that can be tricky to keep looking its best. 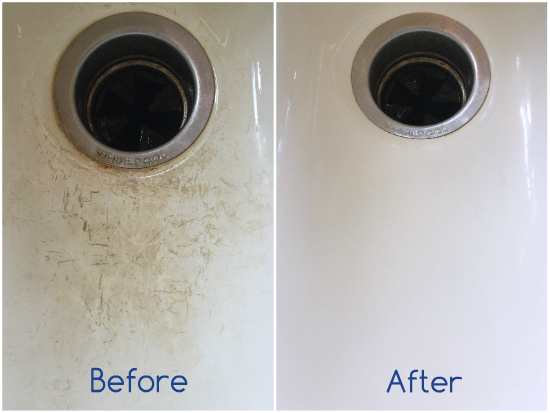 Harsh chemicals and cleansers are not recommended for use on porcelain, so how do you keep it looking glossy and beautiful without bleaching the stains away? The first step is to lightly sprinkle baking soda over the bottom of the sink. Use a damp sponge to start scrubbing the stains and scuff marks away. 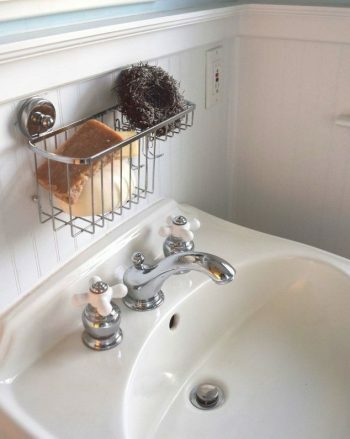 Once you have worked the baking soda all over the sink, pour some hydrogen peroxide on the sponge and scrub some more. After you thoroughly scrub down the inside of the sink and the drain, let the baking soda and hydrogen peroxide mixture sit in the sink and work some more magic for about 15 more minutes. Now for a really good shine and lovely scent, take some lemon essential oil and put a few drops on a soft cloth. Rub the lemon oil on the inside of the sink to leave a lovely shine and an even better scent behind. The oil will help repel stains and soap scum, too. The Secret Way to Clean Cast Iron–Easily!